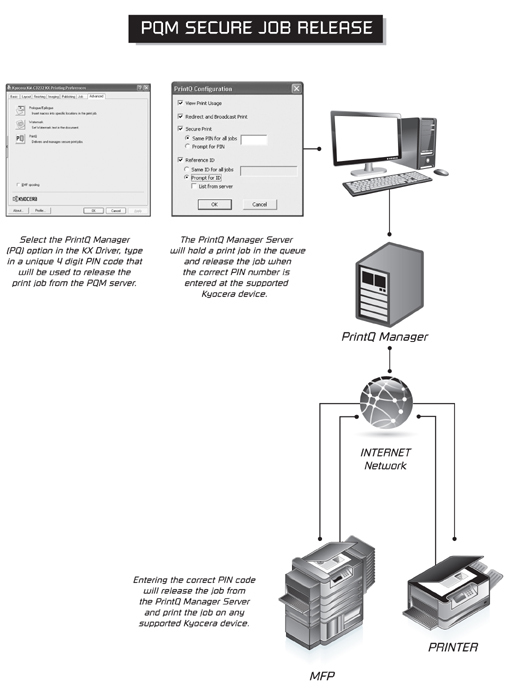 PQM Secure Job Release With the Secure Job Release feature available with PrintQ Manager (PQM), businesses can implement a level of document security for their confidential and sensitive print output. As part of a secure solution, this feature allows authorized users to release print jobs that are held in the PQM server from any supported Kyocera device. The PQM Secure Job Release feature will allow Companies to adhere to some of security regulation requirements in place in today’s business environments.